Have you got worms? We have, and we LOVE them! It’s all thanks to the new Hungry Bin Worm Composter which is the latest addition to the Omlet website. 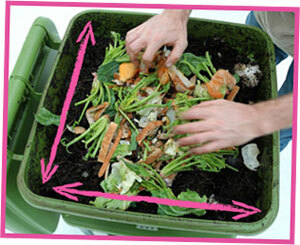 It’s a really fast way to compost. 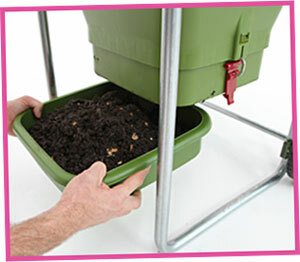 Hungry Bin can process up to 2kg of your kitchen leftovers and garden clippings a day. What’s your favourite way to eat eggs? Many are partial to a poached egg, some are barmy about boiled eggs and most people agree that fried eggs are fantastic…but how do you fancy the sound of 3 month old, green, gelatinous egg? No, it’s not our cup of tea either, but believe it or not this is considered a delicacy in China. Known as the Century Egg, this speciality is produced by preserving eggs in a mixture of clay, ash, salt, lime and rice hulls for anywhere between a few weeks and several months. The yolk turns an appetising shade of dark green and the white transforms into a brown, translucent jelly. A strong sulphur odor develops (ie. a very eggy smell indeed) and it becomes full of flavour (apparantly), but if that didn’t make you cringe ‘enouef’, the Century Egg is commonly added to a bowlful of rice porridge for breakfast. It all sounds rather stomach-churning, but on a recent trip to China, an Omlet Director tasted this delicacy, and the verdict…well, it wasn’t too bad! So, have you tried any wierd egg dishes? Let us know, and even better, send us a photo! The Black Honeybees are Back! Up until recently, it was bee-lieved that black honeybees were only still living in a few places in the very north of Britain, but they have recently been discovered in North Wales, East Anglia and West Sussex too. Previously feared to have died out in most of Britain, this is very exciting news for beekeepers everywhere. The native honeybee was virtually wiped out 100 years ago, by a virus, leading to European bees filling the void. It has long been argued that native bees are important for biodiversity, so a black bee conservation project began in 1997. Although only 1% of UK hives are likely to house the black bee today, it is extremely encouraging that they have recently been found in different areas. Bee experts hope that the black honeybee could be the key to reversing the decline in honeybee numbers, because it is better adapted to the British climate than the European honeybees that many beekeepers use. Evidence has been found to support the idea that black honeybees have a higher survival rate than European bees, as they are a hardier breed. They are much darker and have evolved thicker, longer hair and a larger body to keep warm in cooler climates. They also have smaller populations going into Winter, which means they need less food for the colony and have a better chance of survival. So what next? Well, the president of the British Beekeepers Assocation already encourages its 22,000 members to do local breeding instead of importing, but the Professor of Apiculture at Sussex University, says “What is needed now is a large-scale queen-rearing programme on a commercial scale.” Bibba hope to have black honeybees readily available for sale within three years which could ‘bee’ a huge turning point for British honeybees and their keepers. Bee-rilliant! What other eggscuse could you need to treat yourself to a shiny new Eglu? Meanwhile, stylish, glossy publication The London Magazine has featured one of our smaller products, the Robot Salt and Pepper Shakers. Sat alongside a £510 gilt salt pot and £485 pepper pot, our funky robots area real bargain at £16, and we think they are far more fun! After all, what other salt and pepper shakers can you wind up and watch walk across the table?